Unravelling Anjali is a must read book for those who spend long hours at work, sacrificing family time NOW, under the belief that they will be having a great time in FUTURE. Anjali is the typical Indian bride, recently married to a well settled NRI. She relocates to Australia, finds her husband fully involved in his work and has little time to spend with his wife. Written in first person, Anjali's attempts to maintain house, find a job, fix troubles in her marriage and so on. Unravelling Anjali is very realistic story that happens in almost all middle class/upper middle class families, particularly the ones having carrier focused spouse who believes slogging day in and out for their companies now will ensure very bright future for them. But by the time that future materializes, either health is gone or it is too late. In the process, lost family time pays ultimate price. If office going folks read this book they will be able to understand their spouses better and appreciate little things they do or expect. Will Anjali's husband achieve the corporate success he has been craving for? What does Anjali do to keep herself busy and occupied, will their marriage last despite Ravi always on the move or working late? Do read the book to find out. There're enough twists in the tale, in the form of meeting her husband's ex and more.. Characterization is good and so is narration. 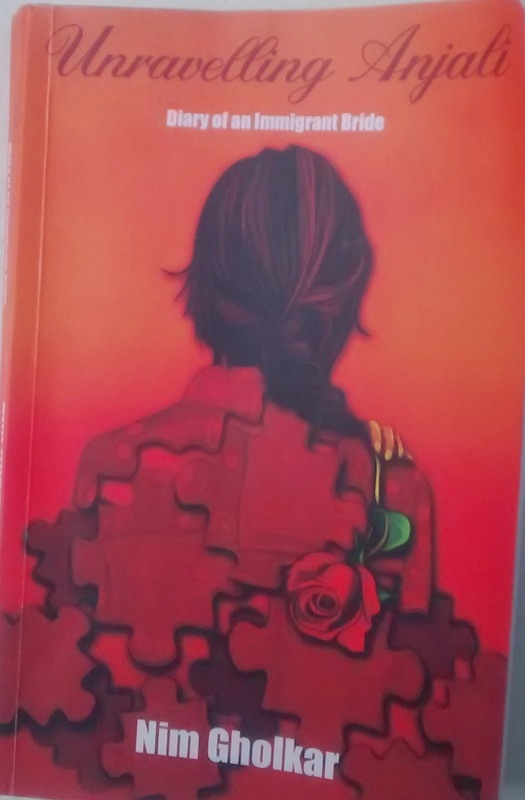 Author Nim Gholkar has spent good amount of time living in Mumbai and Australia, which has been used effectively in the story building, Unravelling Anjali is her first novel and is certainly a good start. One thing I found missing in the story is the work visa part. Didn't Anjali need a work visa before taking up job in Australia? This is a big problem in urban India that no one wants to admit. In the guise of 'work' ppl. work more and more, until that becomes an addiction and a reason to ignore family/friends. Over-working is not a "saintly" thing to do, and the Europeans/Westerners know that. There is always something to lose when we mindlessly chase desires. Balance is very important in life. Seems like an interesting plot, the one thing I like about Indian authors is that there are so many situations to which you can relate, will have to read this one to see if I can find something like that. Just finished my review for this book at my blog. I liked the theme of the plot. As you've mentioned, this book might hit hard at head for those who slog for their companies day and night on the name of working for the future of the family. Nice review. Glad I found your blog. Road trip- Bike vs Car: Which is better? Branded Panipoori: Next big thing! More ban ideas to the Government..